I get playfully teased about this line from time to time. What lanes and at what time I am often asked. Sometimes people even tease me about things that I may have missed when not at a certain lane on a certain day. A good example of this would be this past weekend at 20th Century Lanes, my home house even. One of the better friends that I have in the bowling world is Phil Austin. They simply do not get any better than Phil. 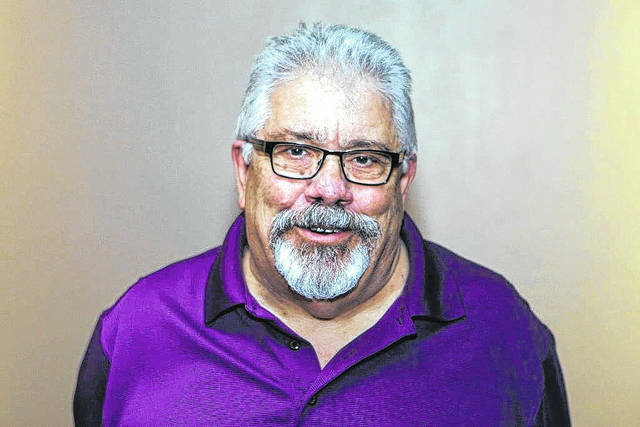 One of his long time admirers is Jason Ewing who contends that there is not a bowler in this area that has had a better five-year run than Phil in our area ever. Call it Karma but these two forces cosmically came together in the “City Singles” Sweeper that Phil held at 20th on Black Friday. Phil presided and Ewing was victorious. I cannot even imagine how Ewing must have felt. Interestingly enough I got a message earlier this weekend from Jason saying how I had been missed at the lanes. Jason we will talk and congratulations. When you have an event where young guns like Chandler Stevens and James Riepenhoff chase you to the final mark then you know you rolled well. There was another superb event that was missed on this weekend. In this particular case I wish I would have tried harder to talk Mike Kirian into another day. For the last 47 years Jim Walsh, Steve Frueh and I with our wives and close friends have been gathering for The Game. Somethings, much like the offense of Ohio State on Saturday, cannot be stopped. Meanwhile back on the lanes …. There is a bowling writer when recently interviewed by Mike Maag that predicted greatness again this season for Celina boys and the St Marys girls throughout the season. In that interview he also opined that you should not go to sleep on the Lima Central Catholic and the Lima Shawnee grls. Will it seems there is some sense about this writer as Celina and the young ladies from Shawnee are this year’s champs of the Spartan event. St Marys had a football game that kept them away and LCC is still recovering from their season. In any case it was a a great job by some even greater kids and another feather in the hat of Kirian for like I said was a superb event. Another place I wish I had been was Las Vegas to watch Bob Edwards roll in the forty frame game. For that matter I wish that I had made the trip to Toledo and seen a good section of the Lima bowling community roll there. It would have been a good time to see friends at the lanes there as well. I did find it interesting that Edwards actually took more money out of the Toledo for the Vegas qualifying then he did in Vegas. Here I was hoping my tribe buddy would bring home enough money to get us a power bat in Cleveland. … We will just have to count on Dolan which brought yet another smile to the face of the champion. One question for Edwards this week will be would he forgo the money that he won in this event for a Lima City Singles title. I do think that I have the answer for that one. Qualifying for this event begins as always the second weekend in December with three rounds at 20th Century. Call the lanes today at 419-222-1876 and see where you fit. Edwards would love to add this a championship line to his hall of fame resume as this is the one that has always gotten away. He will be a huge crowd favorite throughout the event. Will this be the year that he can turn back ‘those * kids”? My friendly wager is that it will be one former and one new champion this season when things wrap up the second weekend in January. One event that I did get to was the 600 tournament and I want to make a call or two before we wrap that fabulous event held annually at Southgate Lanes. We will also give you a review of the first full week of the high school season that swings fully into action this week. As this goes to print Bath and Shawnee are battling at 20th Century.